If you were unfamiliar with the composer, you might have assumed this was a follow-up of Empyrium’s “Weiland”. 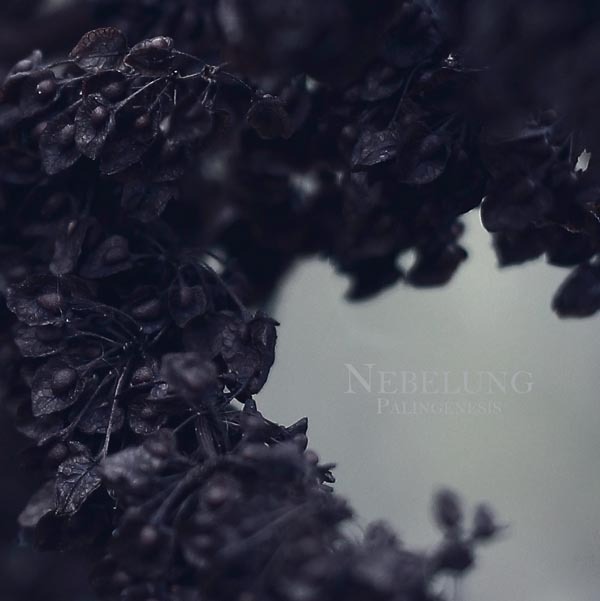 Nebelung is a german trio, sensible and purehearted as a forest in early spring, with the desire to be reborn, as the title suggests, in a more suitable world. “Mittvinter” is played on such delicate, refined and faultlessly recorded acoustics that it recreates a live experience. Analogies with Empyrium are unavoidable, although similar nuances are expressed in several other groups like OTWATM. What seems to particularize Nebelung from the beginning is a kind of domestic intimacy, a revelry without object, a dream-state felt by the fireplace. The violin and acoustic guitar are moving naturally like brushes on a canvas, giving light to a white-grey touched tableau. In correlation with the band’s name, Nebelung, meaning November in old German, the album’s compositions are mostly purely poetical musical fixations like “Nachtgewalt” – a mythical inspiration that is completely absorbed by the intensity of interpretation. The musicians rest in expectation, looking through the window as night takes mind and soul in her silent resignation. Even the song’s structure shows no turbulence: a few simple and basic accords in sorrowful tones. Setting apart the compositional manner in terms of coherence and complexity, similar groups have songs that stir and shine by the power of myth or background beliefs. Like in “Aufgang” where the record has a tragic coda expressing suffering and abandonment. The voice is always in the back plane, whispered and fearing to be heard. In “Polaris”, a richly colored but likely epic, tragic song, this voice integrates organically into a fully snowed-in space of heavily laden glaciations. “Wandlung” is the resistance track, and Nebelung gives full sight here of their musical approach: slow-paced descriptive tonalities, never too daring or improvised, coherent and easy to follow. The magic coming out is touching and empathic, consequent with the audience’s mood. This is also a truly corollary and hygienic alternative to ambient/ depressive Black Metal one-man bands of doubtful quality. This functions beautifully when travelling, as it integrates an idea of movement in space; moreover, due to the fact that the song ends in a post-rockish divagation or classical understanding. A fine tapestry, nonetheless. “Innerlichtkeit” ends this almost black-and-white record in grey tones. Its main mood and themes gather again in an even more disconsolate tone. The artists have fed too much on their inner light and seem to have consumed it, because there’s nothing here but a final breath and tear in a dying soul. A very enjoyable disc in discrete moments. Far from annoying desires, rather willful to consume your everyday misery and keep the pace of some oblivion-inducing, gentle tunes.